Sharon is overreacting to everything these days and Randy can’t cope. Randy is desperate to help Sharon get her emotions under control and Cartman unexpectedly fails his math test. 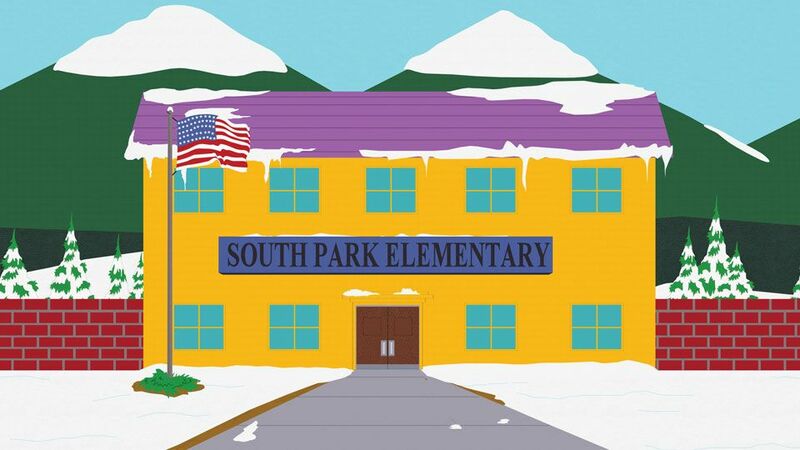 The episode starts at South Park Elementary where Mrs. Nelson is giving out the results of an exam back to the class. She explains that some people did well, whereas others failed, and proceeds to teach them again about the questions they got wrong. Cartman is annoyed as he failed even though he copied off Token Black, who passed. Halfway through the class, a shooting starts outside the classroom. The class all act like normal, and continue to answer Ms. Nelson's questions, even when a SWAT Team member storms in. Cartman complains to the teacher that Token changed his answers after Cartman copied him to make Cartman fail, but she does not hear him. Outside, police, reporters and doctors are all around, sorting out the shooting. The boys nonchalantly walk out, with Cartman angry about Token making him fail. Sharon Marsh runs up to the boys, distressed, and takes Stan away, saying they will sort the whole mess out, leaving Cartman to wonder what's wrong. Over dinner at the Marsh Residence, Sharon asks Stan to tell Randy what happened at school. Stan initially believes she is talking about his test scores, but later realizes she means the school shooting. Randy asks if he was involved in the shooting, and, when Stan answers "No", he decides to query on the maths test instead. Sharon flips out, angry that he doesn't care, and runs up to her bedroom. Randy goes to see if she is ok. Sharon is upset and angry that there was a school shooting and no one seems to care. Randy suggests it is because she is on her period, and she yells at him again. Randy leaves, annoyed he will have to go through this period thing again. At the school, PC Principal and Mr. Mackey are speaking to Cartman and Token in the principal's office. Cartman explains that he thinks Token is trying to get him because of the "rumours" that Cartman didn't like Black Panther. Token tells him that this has nothing to do with it, as he hasn't seen Black Panther, leading Cartman to be shocked and to believe he is trying to cover it up. Another school shooting occurs in the background, and Mr. Mackey goes out to sort it out. In the Marsh Residence, Sharon has called the parents over to discuss the school shootings. Randy seems bored of it. Stephen Stotch starts speaking, to say that it's not something they should worry about, but Randy stops him by trying to communicate to him through charades, to tell him that this is due to her periods. Laura Tucker brings up the unsafe playground, leading Sharon to flip out at everyone for comparing shootings to dangerous playgrounds. At school the next day, the school has extra security, from metal gates to police dogs. Butters walks down the corridors as a hall monitor, with a gun. He is called over by Cartman, who explains that his mom is going to ground him from Fortnite if he fails the next test. He asks him to help dig up some dirt about Token that he can use. In the Marsh Kitchen, Randy is crying at the table and being comforted by Gerald Broflovski and Stephen. Sharon comes in to tell him about another shooting, and then flips out when Randy reacts nonchalantly again. Stephen suggests to Randy that she may be going through menopause. 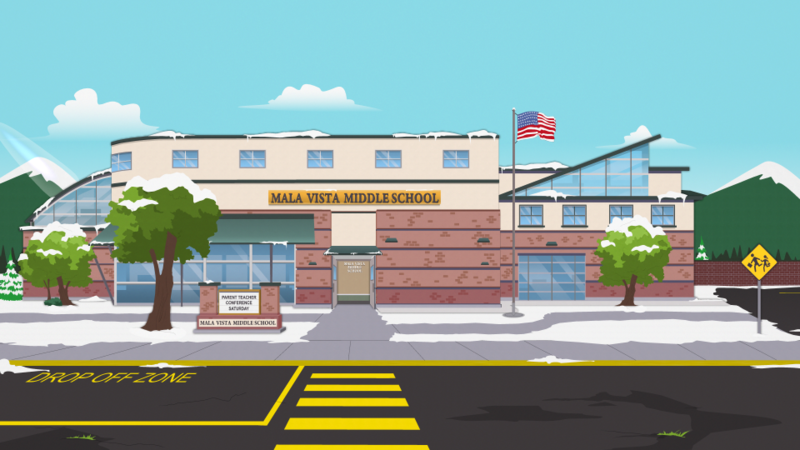 To find out what this is, Randy visits Mala Vista Middle School, the location of the school shooting, to ask a doctor about what menopause is. The doctor explains that it is when a woman stops having her period and warns him that this could last years, leaving Randy shocked. At school, Cartman speaks to Nichole Daniels to get dirt on Token. She reveals that they are back together, but refuses to give any further information. Cartman starts taking pictures of Token around the school in order to find something. Analysing the photos, he sees Token's parents and comes up with an idea. Sharon is at the therapist, where she speaks about her worries that one day, she will find out her child had been shot. The therapist gets help from Randy, who is doing charades again to convey menopause. Sharon, confused, notices Randy, and runs out. She yells at him, saying that there is something wrong with everyone. Cartman is at Token's residence, speaking to Steve Black and Linda Black about Black Panther. He tries to dig dirt on Token, until Token finds him and kicks him out. Before he leaves, Steve reveals that Token hasn't seen it because it is PG 13, so he isn't allowed to watch it alone. Cartman then believes Token is trying to hide the fact that he has seen Black Panther so he won't get in trouble, then leaves. Linda Stotch and Harriet Biggle come to the Marsh house to get Sharon, informing her that another shooting has happened at the school. The three drive there and Sharon runs in first. She sees all the parents standing, smiling at her, with petals all around. Randy comes down the stairs, singing "Where do I Begin" - Love Story. Sharon watches in shock, but eventually gets bored of it. Cartman confronts Token in the school bathroom. He threatens Token that he will tell his parents about Black Panther if he doesn't let him cheat. Token swears he doesn't care about Black Panther, leading Cartman to believe he did see it, and he didn't like it. Token then tells him that they may both fail the test because the exam is about to start. The two run out to find another school shooting happening. Cartman asks Butters to protect him, and the three run through the school, through the main hall, where Randy is still singing, and into the classroom. After the shooting, the parents are all outside. A doctor comforts Randy, saying he did what he could to stop Sharon from overreacting. Sharon discovers people think she has menopause, and explains she had her period this morning, so she isn't on menopause. Randy then suggests that she may have been a bit moody the last few days and she emotionally flips out. She is upset that this isn't a big deal anymore, and says she wants it to make people sad. The parents all walk off, annoyed at her negativity. In the classroom, Mrs. Nelson gives out the test. Cartman tries to copy Token's answers and Token reluctantly allows him to. Cartman then starts thinking that he's doing this as a cover up, and throws his paper away, believing he will fail for the greater good. In the Marsh garden, Sharon comes to speak to Randy. She apologises for how she has been acting and, giving up, says it was because of her period. She then has a call, informing her that Stan has been shot. She is shocked at first, but then decides it's not a big deal, to the glee of Randy. "Don't you guys see what's happened here?! I want you to be angry! Every day we hear about another school shooting! It used to be a big deal! I want it to be a big deal again. ...I want you all to be shocked! I want you all to be sad!" Randy sings "Where do I Begin" - Love Story, originally recorded by Andy Williams in 1970. These characters made a notable appearance but didn't have speaking roles in the episode. We do meet a few new faces in this episode, including a new fourth grader and a friendly parademic. 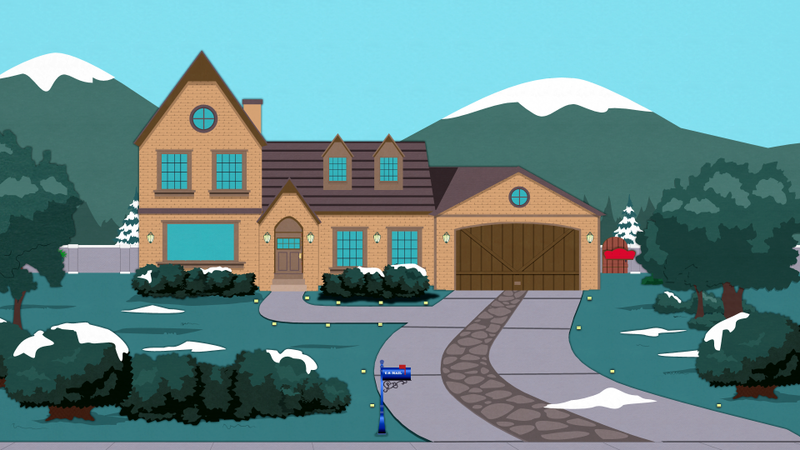 This episode has fewer locations than many recent episodes, taking place almost entirely within South Park Elementary and the Marsh Residence. Henrietta and Bradley's mother, Mrs. Biggle, who debuted way back in season 7's "Raisins", is finally granted a name here -- Harriet Biggle! The Marshes' Living Room remains renovated with an open concept kitchen and dining area from "White People Renovating Houses". 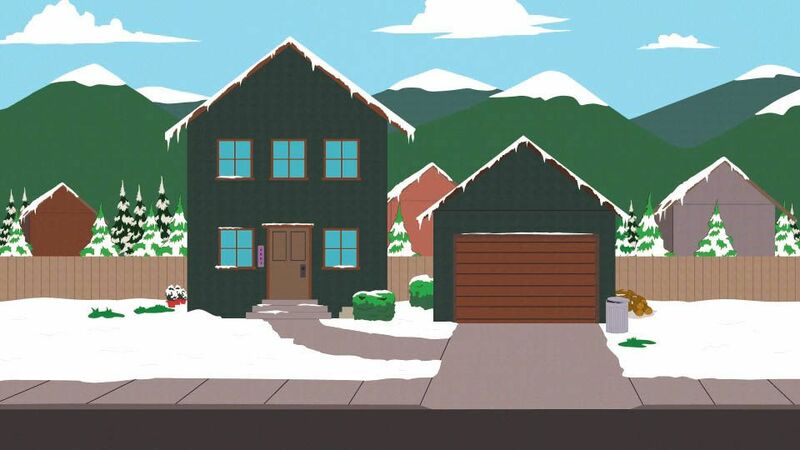 When Sharon and Randy meet in the yard, she uses a back door rather than the sliding doors usually seen on South Park homes. Time will tell if this is a permanent change. Sharon's therapist previously appeared back in season 15's "T.M.I. ", where he was Randy's anger management therapist. Token and Nichole are trying to make their relationship work again, although she denies that they're dating and insists the reason for their breakup is none of Cartman's business. Token and Nichole were dating from season 16's "Cartman Finds Love" until season 20's "Skank Hunt", when all of the girls broke up with their boyfriends... they seem to be the first couple to get back together so far. Nichole isn't so willing to put up with Cartman's behavior, having learned her lesson when he tricked her in her debut episode. In this episode, Mona Marshall reprises the voice of Laura Tucker. She and Elise Gabriel alternate her voice depending on the episode. The scene with Stan and his family was the first written for this episode. "Whatchoo talkin' 'bout Willis?" was made iconic by Gary Coleman as Arnold Jackson on Diff'rent Strokes. It was previously referenced in "Cartoon Wars Part I"
"Come on, Raj" is from the '70's sitcom What's Happening?. Cartman's 'Private Investigator' storyline, particularly his internal monologue, has been compared to Columbo and ironically, Marvel's own AKA Jessica Jones. Randy can be seen drinking John Adams beer, a reference to the better-known Samuel Adams beer. These men were, in fact, second cousins. Cartman derides the superhero film Black Panther, claiming its a "structural mess" and unoriginal, comparing it to the The Lion King. Fan response to this episode on social media was swift with reactions to Stan being "shot" off-screen at the end of the episode; some fans worried for his safety, while others shared memes and jokes suggesting he would be killed off. This is the second time in just a few episodes, since last season's "Doubling Down", that Cartman's ended up at the Black Residence, chatting kindly with Token's parents despite their son's annoyance. When the parents are meeting in the Marsh Residence living room, Steve and Linda Black once again revert to their original appearances. (Notice Linda's sleeves disappear.) They're fine when we see them at home later. During the sequence after the last school shooting, when Sharon delivers her speech, Richard Tweek and Ryan Valmer's sleeves disappear due to the usage of the blanket and cocoa prop overlays. Ryan also has some shadows on his bare arms.